Hair loss and dandruff are two major hair problems which usually recur after a period of time, at least with me. But most of the time, I get over with them after certain medications/home remedies but this time neither my dandruff was ready to go nor my hairs were staying on my head ( i mean sever hair loss). 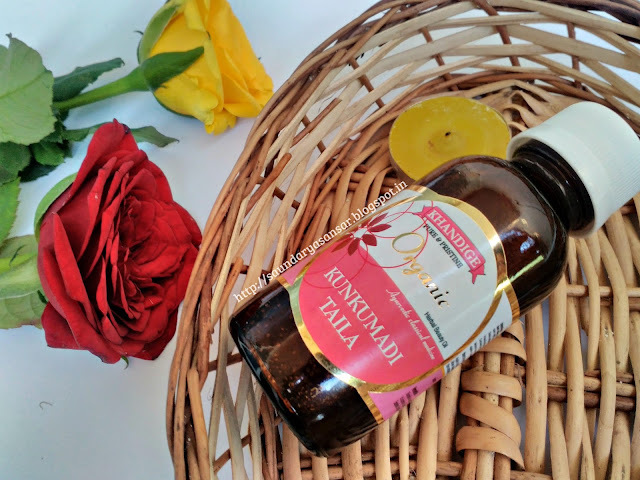 I was reading one of the blogger friend raving highly about this- Japakusum Ayurvedic Scalp lotion: for hair loss and dandruff treatment and she was quite satisfied with the results. So I ordered this from Amazon very next Day. So its been more than 1 1/2 months I am using this and I am reaching bottom of the bottle. lets see how it worked on my hair & scalp. Japakusum Ayurvedic Scalp lotion: for hair loss and dandruff treatment is available on Amazon and retails at INR 160 for 100ml. Manufactured by - Biogreen Healthcare, Can also be ordered from their website- www.biogreenhealthcare.com. Is available in other sizes too on website. The company manufactures number of other skin care and hair care products too. You can find a Japakusum Shampoo and Clearmax -anti dandrfuff lotion too from the range. 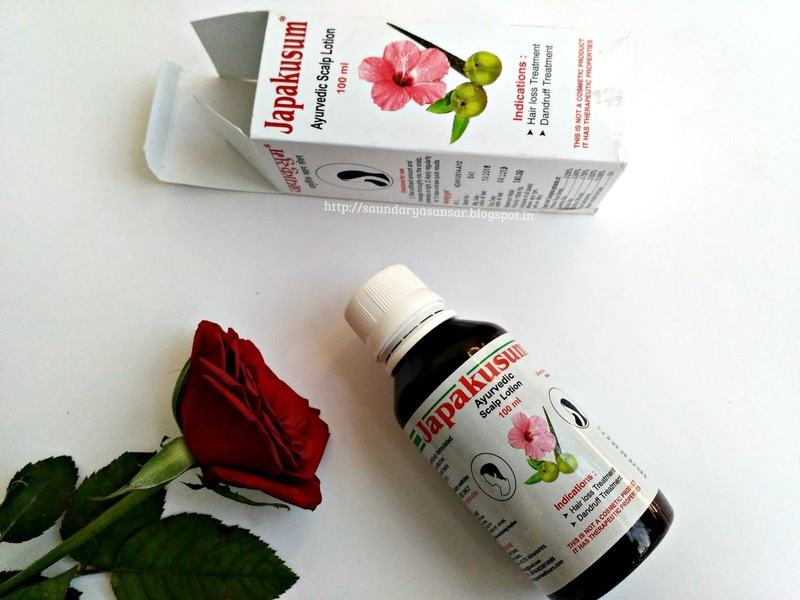 Japakusum is scientifically formulated gel enriched with an effective combination of natural herbs. In a water miscible gel base. Company claims the product to be free of any harmful chemicals. 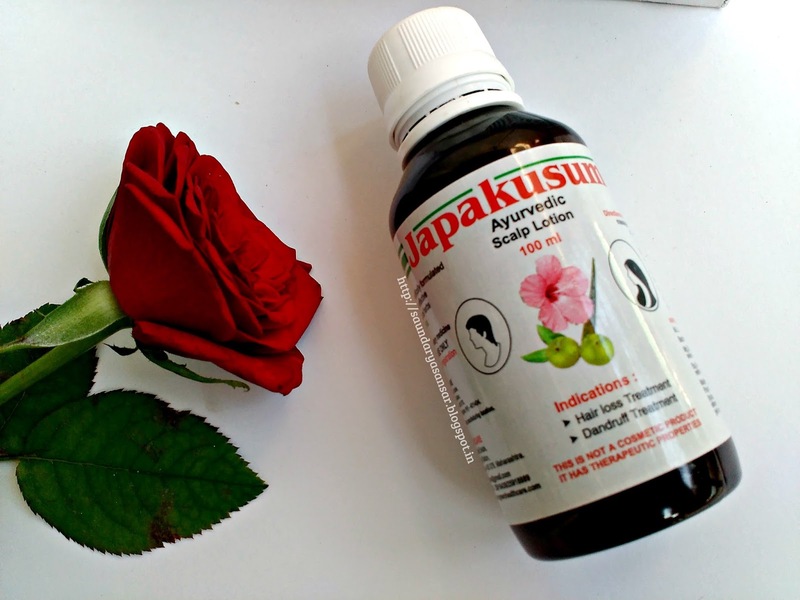 The Japakusum Ayurvedic Scalp lotion: for hair loss and dandruff treatment is brown gel based lotion, comes packed in dark plastic bottle secured with a screw cap. The bottle is housed in white carton box with details about the product mentioned in it. Also you may find a separate information leaflet inside. The gel has a strong fragrance which is more of artificial- seems added fragrance but not mentioned in label. The gel though seems thick but disappears as soon as applied on scalp. You may feel a cooling sensation while applying this and I even felt little itching just after applying but that soon goes away. The scalp is neither nourished nor dry after application and my dry hairs are as usual the same. I have been applying this only at night before going to bed and at times I did not even washed my hairs the other morning. My hairs were not greasy or limpy but I could see a little volume. Washing the other morning is also easy with a regular shampoo. Its mentioned in the instructions to use regularly for 15 days for effective and fast results but i was not that regular, sometimes i skipped this too. But since I am about to finish the bottle and can say that I could not find any noticable change neither in my scalp condition nor in my hairfall. My dandruff is in place and hair fall is still the same. Probably i need one more bottle to see the results because Ayurvedic and Unani preparations usually take time to show results. And I would say, this again differs person to person, for some results are quick while for others its not. But i would like to share a nice tryworthy hair oil formulation for hair growth and hair loss prevention, read here. Overall I would say Japakusum Ayurvedic Scalp lotion: for hair loss and dandruff treatment is a treatment worth trying. Being Ayurvedic Preparation, its safe and for results, it can be slow too.